This is an attachment unit to the conventional lathe and/or other working machines which enable users to crown (convex/concave) grind rollers. 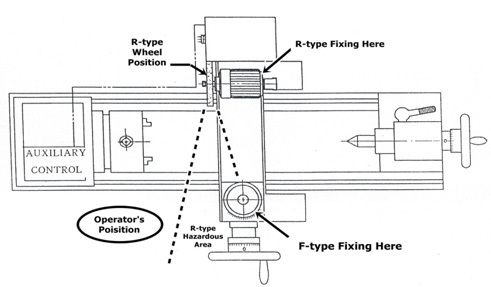 Since it is an attachment, the effects and result of the grinding depends very much on the lathe and/or working machines on which this unit is intended to attach on. Therefore, the selection of the grinding wheels, the accuracy of the lathes or working machines, the speed of wheel and grinding object feeding and other factors have to be carefully considered to obtain the best performance. For the best performance, we suggest using this machine for rubber rollers grinding.